The Loadscanner belt scale or volumetric scanner utilizes the latest laser technology, to provide real-time production data. Our optical belt scale scans the material crossing the belt with no contact with the belt. This non-contact design eliminates the issues most operations face with traditional belt scales. Our non-contact design equals lower operating costs and improved running time. Confidently monitor and analysis your production data with our optical belt scale. This trouble-free technology is poised to revolutionize how operations manage product and track stockpiles. The Load scan belt scale can be installed on fixed as well as mobile equipment to track production in real time. 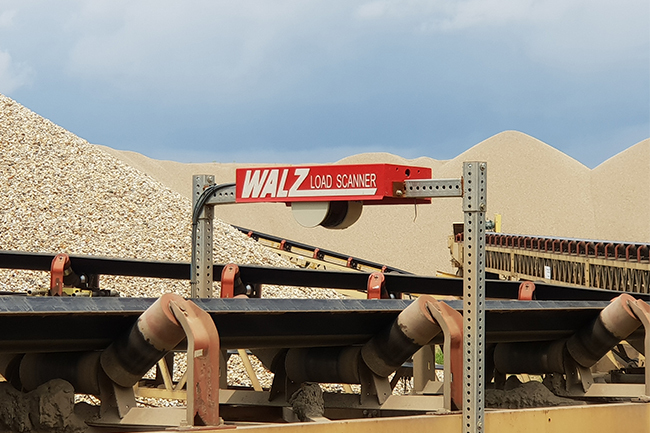 The Load Scanner conveyor volume belt scanner has been designed to provide operations with a very simple and easy to use tool for monitoring production. We provide multiple options to allow our customers to choose a model that fits their budget and application. The LoadScanner belt scale can be used for virtually any belt width and can be installed within just a few hours. Drones are cool, but you still need a pilot and you only have your data after you fly your stockpiles. 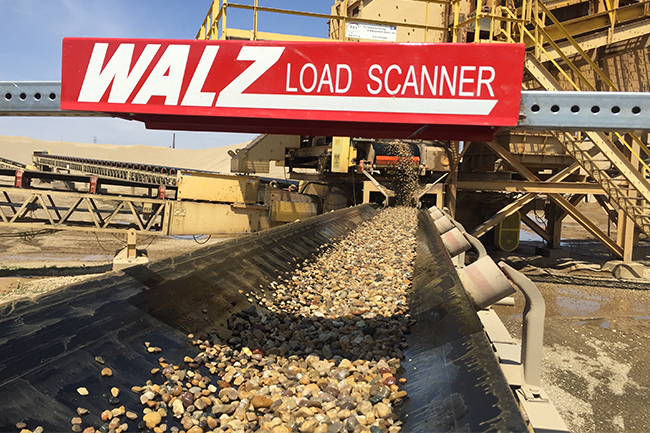 The Load scan system requires no operator (pilot) and provides production data in real time, every time. Operations can manage and track production locally or remotely from our cloud site. Improve your production reporting accuracy with the Loadscanner belt scale system. Unlike traditional belt scales the Loadscanner optical belt scale does not require a weighing frame or any major modifications to the conveyor frame. The use of laser technology means that you can mount the scanner system above the belt and thus away from the moving parts. This new approach to conveyor belt measurement reduces required maintenance and calibration costs. 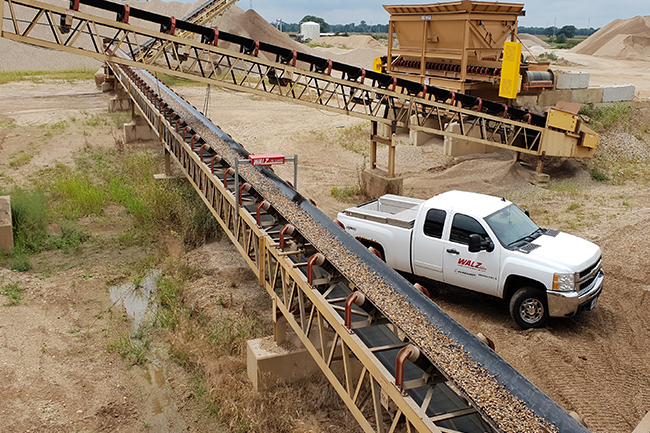 The Loadscanner web-based conveyor belt scale monitoring system allows our customers’ real-time access to their belt scale data. Reports can be run for any time period making it simple for a manager to keep in tune with operational trends. Downtime, equipment utilization, inventory, and product quality can be monitored to quickly increase profitability. 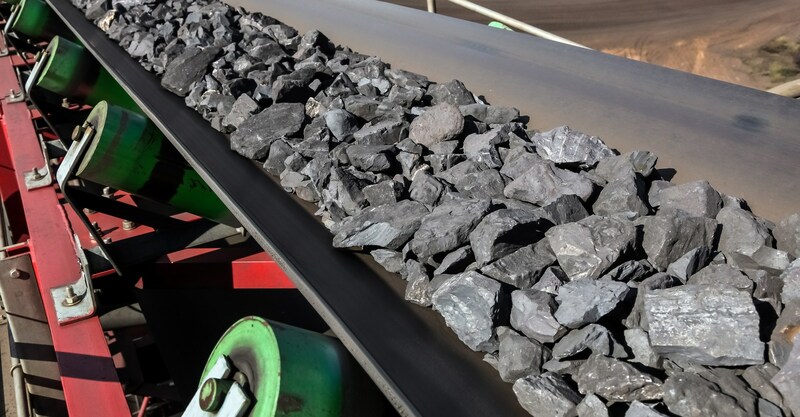 Track and manage production on your conveyor belt by volume and or weight. Operations with a known material density can use the optical belt scale to determine production data by weight. 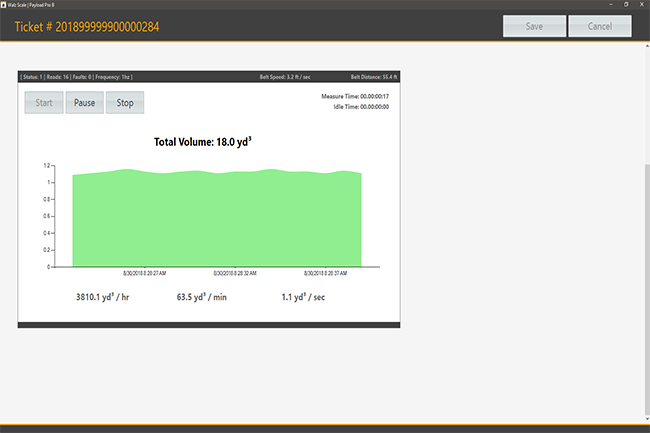 Furthermore, operations looking to track production by volume can now track accurately actual volumetric production. 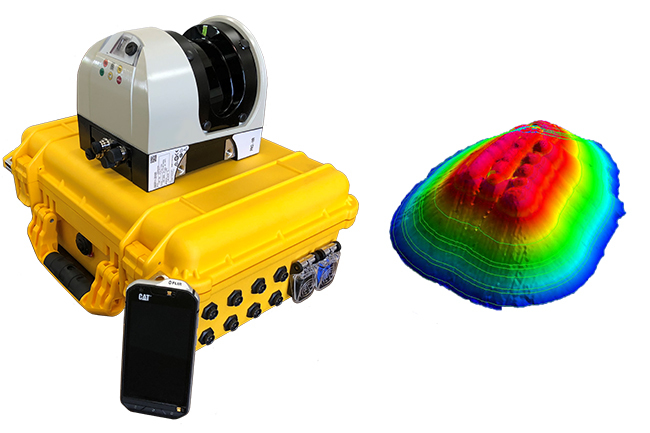 The volume load scanner system provides an in-motion volumetric load scanning solution that is highly accurate, fast, and simple to install and operate.